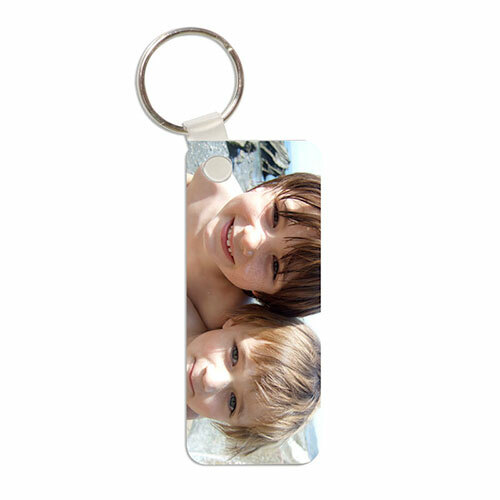 Our hard wearing keyring is printed with a high definition glossy finish.The key ring is personalised on both sides and our rectangular photo keyring measures 75mm x 30mm. It is simple to get started – upload your photo into our on-line designer and scale it to fit the dimensions of the key ring, keeping important detail away from its edges. Let one of our team of talented graphic designers help. Use our “Request a Proof” tab (above). Upload your photo and one our talented graphic designers will then take your image and professionally crop it to fit the dimensions of the case and email you a proof FREE of charge.